Department of Electrical and Electronics Engineering, GL Bajaj Institute of Technology and Management Greater Noida has arranged an interaction by Dr. A.K. 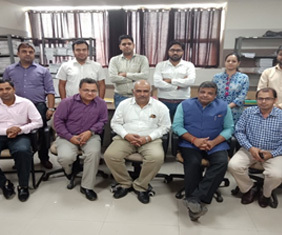 Singh, Prof. & Dr. R.K. Singh, Prof., Electrical Engineering, Motilal Nehru National Institute of Technology Allahabad (29th Sept. 2018) with the faculty members of the department. They discussed on the following topics 1. Retention of faculty members in good institutions. 2. Developing good culture in the department. 3. Behavior of senior professors with the junior faculty members. 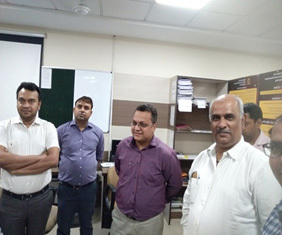 Head of department Electrical & Electronics Engineering, Head of department Information Technology and Faculty members of department have interacted with the guest. Interaction was healthy, interactive & memorable.